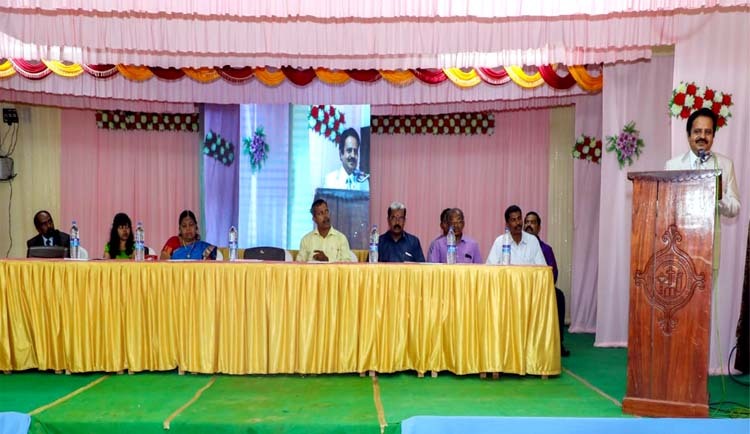 ATTOOR.JUL.10: White Memorial Homoeopathy Medical College organized a seminar commemorating the death anniversary celebrations of White memorial group of institutions founder Dr.Rajendran. Dr.R.Gnanasambandam, President, Tamil Nadu Homoeopathy Medical council inaugurating the conference addressed that Tamil Nadu Homoeopathy Medical Council is taking stringent action over the fake institutions and bogus doctor, Notice the gathering. He appealed to the gathering to lodge complaints to the Registrar of Tamil Nadu Homoeopathy Medical council and also the local Police stations.